Sugar Pine, Emerald Bay, Lake Tahoe. Photo by Large format landscape photographer Jon Paul. 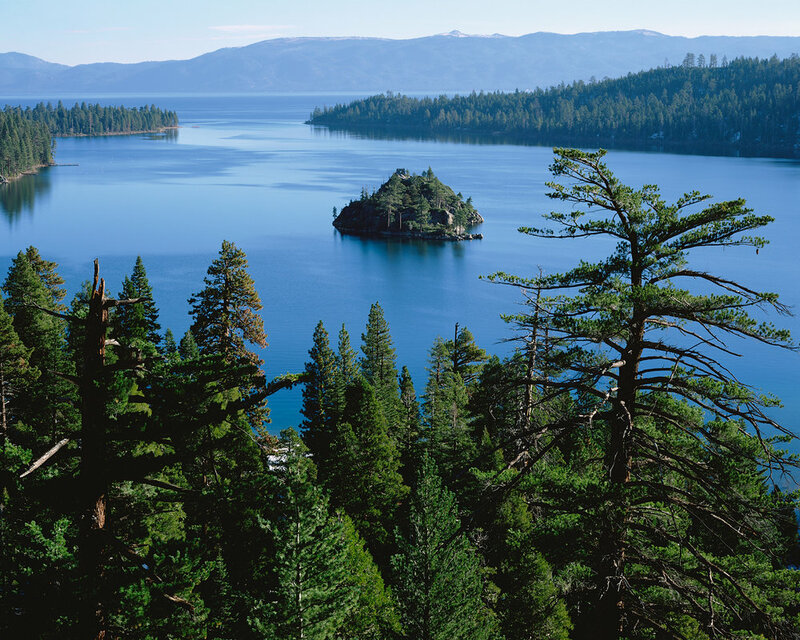 Emerald Bay can rarely be photographed in daylight conditions without a full compliment of watercraft. This cool Spring morning offered perfect conditions, and enabled me to feature the beautiful green pine trees that surround our magnificent lake. I positioned myself to use this amazing sugar pine as a frame for Fannette Island.